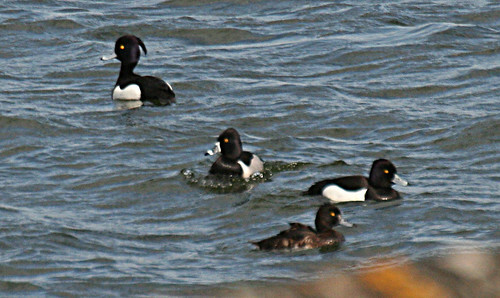 The change of weather system saw the belated spring kick into gear over the weekend at Tophill Low NR, East Yorkshire. 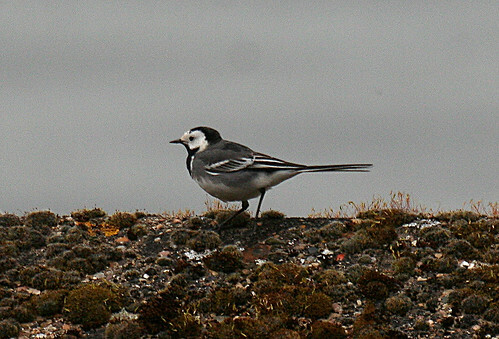 Few birds around until early afternoon on Saturday then sights and sounds increased rather dramatically as migrants appeared. Singing Willow Warbler Phylloscopus trochilus (which on Sunday became multiple singing birds), good numbers of Hirundines, and a trickle of Wagtail migration, including this Yellow Wagtail Motacilla flava flavissima on D wall on Saturday, with a few Pied Wagtail M. alba yarrellii. 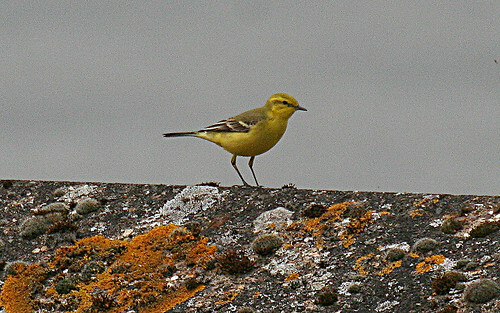 A minimum of 7 Yellow Wagtail were on D wall early Sunday evening. 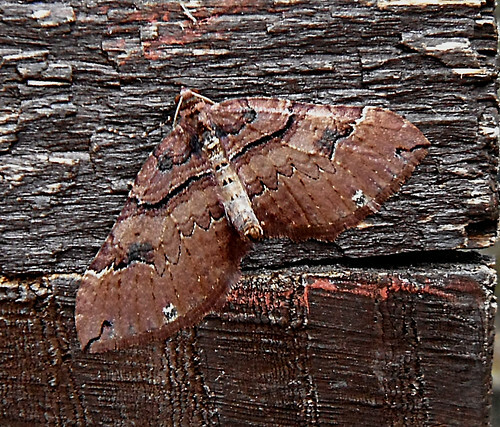 The warmer nights proved productive on the moth front. 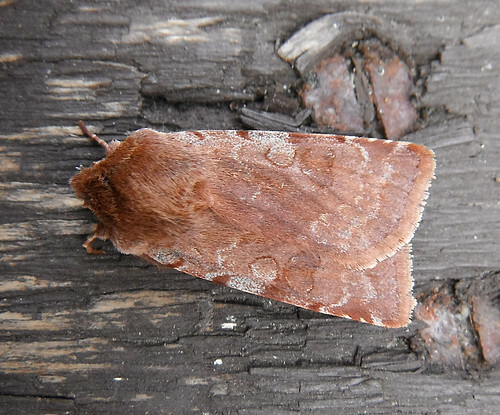 Twelve species trapped a welcome change to checking just 15 egg boxes that remain present in the tub under the light! 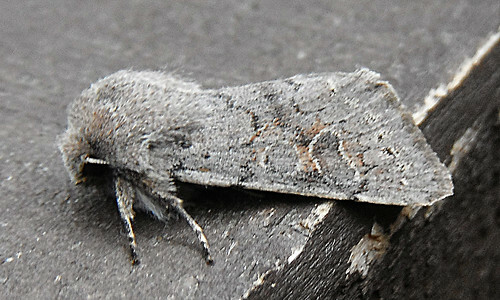 It is fair to say the traps were drab – it is the time of year when Clouded Drab Orthosia incerta dominates the numbers. 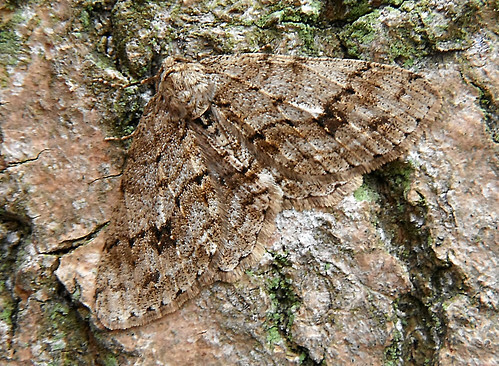 Highlights included several Shoulder Stripe Anticlea badiata, The Engrailed Ectropis bistortata, Red Chestnut Cerastis rubricosa (not trapped annually) and a few Lead-coloured Drab O. populeti. 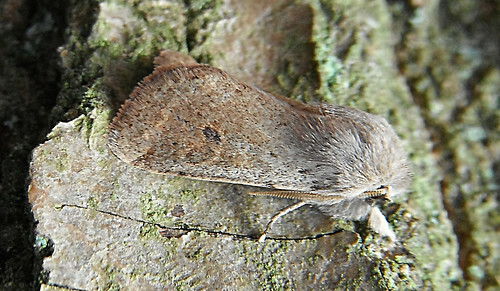 Shoulder Stripe, Lead-coloured Drab, The Engrailed, Small Quaker Orthosia cruda, and Red Chestnut pictured below. 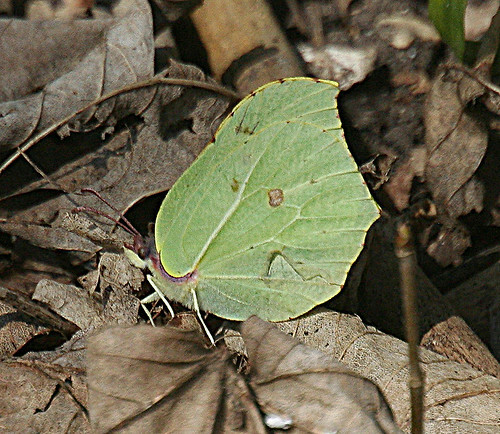 Lepidoptera interest continued during Saturday with numerous butterflies on the wing: – 3 Brimstone Gonepteryx rhamni, 2 Small Tortoiseshell Aglais urticae, 5 Peacock Inachis io and a single Comma Polygonia c-album. 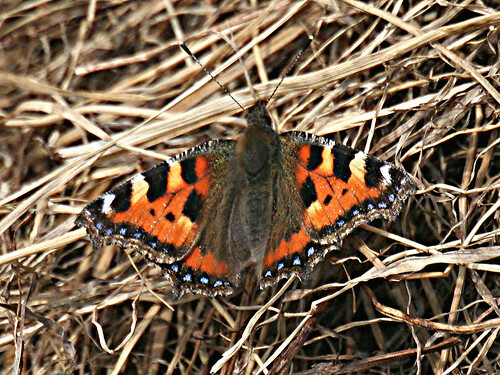 The cloud on Sunday saw less take to the air other than a couple of Peacock. 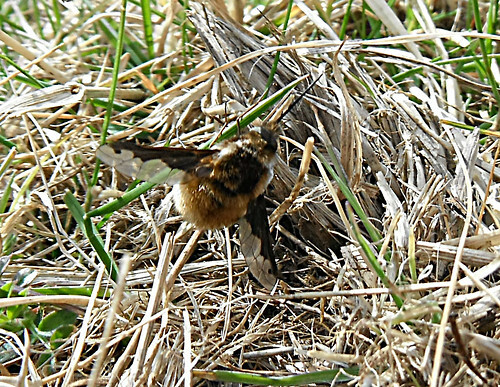 The keen eyes of Doug Fairweather picked up our opening Bee Fly Bombyluis major of the spring – a regularly seen species over the years – this a record shot of one of the 10-12 we noted at the southern end of the site. 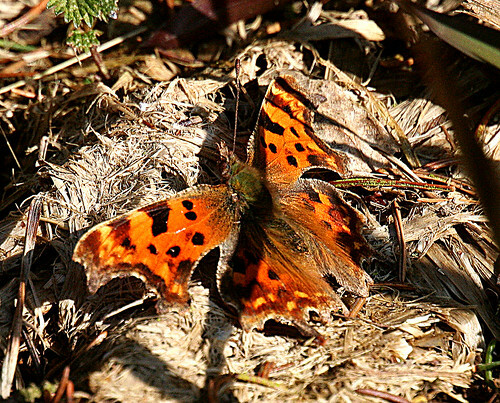 Despite the warm sunshine, Ladybirds proved hard to find on Saturday. 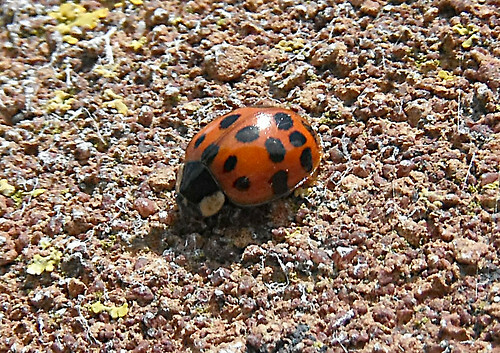 This Harlequin Harmonia axyridis f succinea which ventured out onto the wall of one of the substations surprisingly the only one noted. 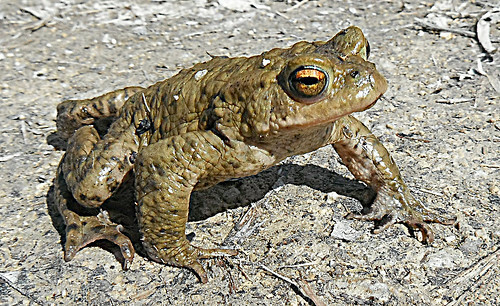 Returning to water, Common Toad Bufo bufo was present in small numbers in most pools, and a few Great-crested Newts Triturus cristatus were observed. 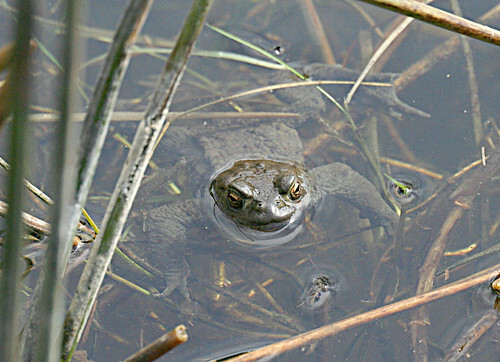 In suitable habitat, a single sunning Grass Snake Natrix natrix was picked out whilst searching for Diurnea fagella and Ladybirds at the southern end. Despite lots of searching over the weekend, with extra eyes provided by VC61 Odonata recorder Paul Ashton on Saturday, unsurprisingly no Large Red Damselfly Pyrrhosoma nymphula could be found emerging. With the recent prolonged spell of cold weather, breaking the Yorkshire record for the earliest start to an Odonata season was always going to be a long shot.